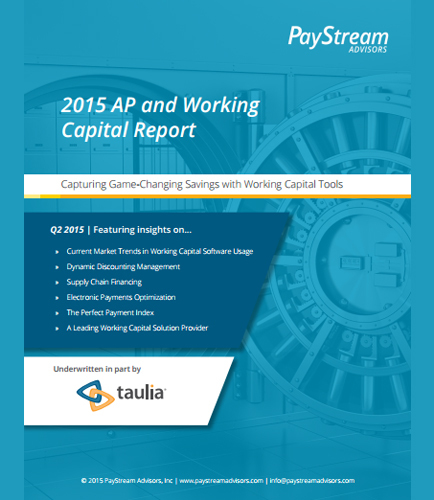 "AP and Working Capital Report :Savings with Working Capital Tools"
This AP and Working Capital report offers a guide for organizations actively exploring working capital solutions/Tools. Capturing early payment discounts is the top goal for any Accounts Payable (AP) department, as it ultimately grants organizations huge returns on cash. Learn how to use working capital tools/software to increase discount capture while also alleviating AP pains around invoice approval and payment. Budgeting is a process or a set of activities in which an organization goes about building its budget. Budgeting helps you determine how you are going to spend your money, thus achieve your financial goals both in long-term as well as short term. Budgeting includes budget management, which means analyzing and organizing the expenditure for a business to run.